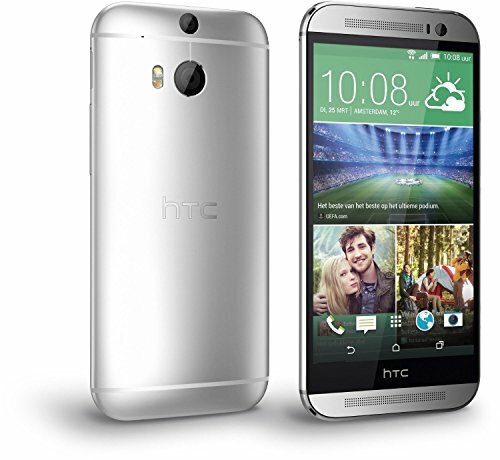 If you're after a class, the New HTC One M8 has it in abundance. Crafted from a single piece of brushed aluminum, its stylish design will make you stand out from the crowd and conjure images of quality every time you pick it up. 5" 1080p display: Full HD screen - 440 pixels per inch - Google's most advanced operating system. Features a smooth metal body created from a single block of aluminum that wraps right around to the screen. The 2,600mAh battery lasts up to 496 hours when the phone's on standby. It's powered by a 2.3GHz quad core Snapdragon 801 processor and Android 4.4.2 KitKat. Choose your favorite pictures and videos, select a theme and add a soundtrack. And when you're done, you can upload your short film to your ZoeTM feed for all your friends to see. Three camera lenses in total. On the rear, a duo setup delivers the ability to create professional-looking results, including 3D effects and deep defocus in both the fore and background. Front-facing camera is 5 megapixels.